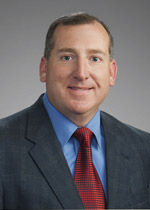 Randy Millerhas served as the Vice President—Engineering of our predecessor since 2007. Mr. Miller has been instrumental in the design and development of the facility since the commencement of the front end engineering design work in 2007. Mr. Miller has worked in the petrochemical industry for over 20 years. Prior to joining our predecessor, he served as a Senior Process Consultant at Barnes and Click Inc. from 1999 to 2006 where his last assignment was to advise us with respect to the development of the PDH project concept. Prior to Barnes and Click he worked for Westlake Chemical Company from 1995 to 1999 and for Dow Chemical from 1988 to 1995. He received a BS in Chemical Engineering from Texas A&M University and a MBA from University of Houston at Clear Lake, and is a Registered Engineer in the State of Texas.